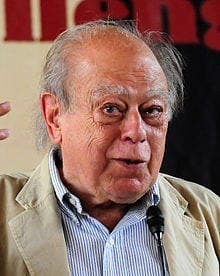 Catalan figurehead Pujol was stripped of his political titles and honours in 2014 after he admitted hiding a multi-million-euro fortune to avoid taxes. EX-Catalan president Jordi Pujol has been accused of placing accounts. Pujol, his ex-wife Marta Ferrusola and their six sons are suspected of hiding the illegal cash between 1990 and 2014. Police have handed over a detailed report on the Pujols financial history to Spain’s High Court, in the lead up to a trial against the family. The report said: “The Pujols worked as an organised group developing a, presumably illegal, activity over a prolonged period from 1990.